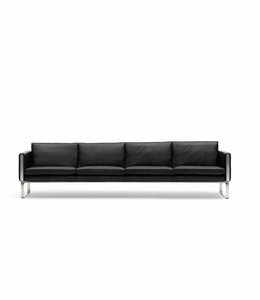 CH103 sofa by Carl Hansen straightforward, cubistic design by Hans J. Wegner. Great for executive offices or in private homes. Model CH102 is present in our showroom. The CH100 sofa series is available in 2-, 3- and 4-person versions. The sofas have a straightforward, cubistic design which has retained its contemporary look through the years. 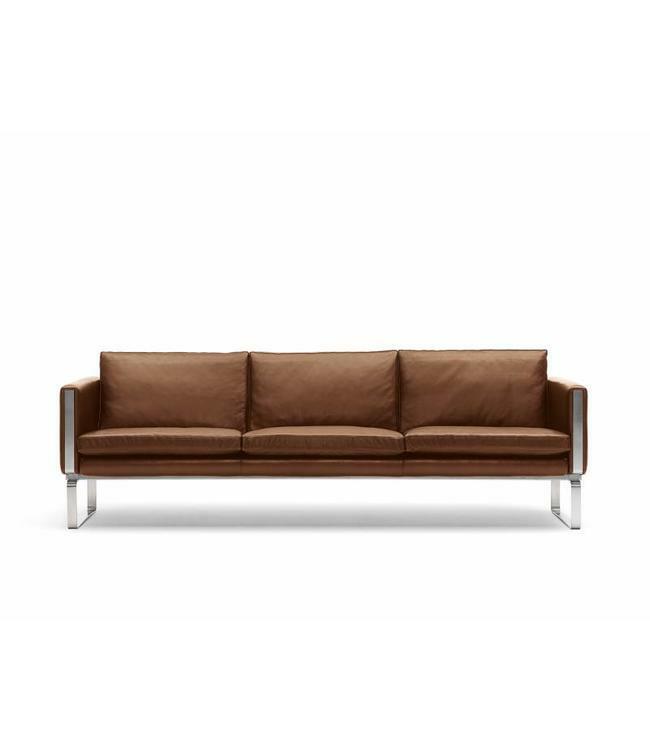 It has an great comfort due to its generous lines and sumptuous upholstery. The cushions are fully upholstered on all sides, and built around a foam core wrapped in a mix of European down and foam granulate. This series of sofas are all hand-made on a solid beech inner frame to enable use of the finest upholstery methods. This method also provides great durability making the sofas ideal for usage in public areas. The characteristic design employs hand-polished, stainless steel for the visible frame which also constitutes the legs of the chair. 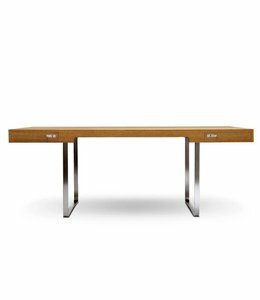 Made from solid beech, stainless steel, cold foam, European down. This series of sofas was designed by Hans J. Wegner in 1970 as a part of a complete series of office furniture, including meeting and easy chairs, a desk, meeting and coffee tables. The series was produced in limited quantities in the seventies. It was out of production until 2008, when Carl Hansen & Son relaunched parts of the series in connection with the company's 100th anniversary ­hence the series name "CH100". 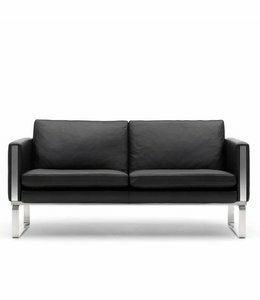 The CH102, 103 and 104 sofas were re-launched in 2011. Hans J. Wegner is widely considered to be one of the leading figures in 20th century furniture design - and a driving force in the “Danish Modern” movement that changed the way people looked at furniture in the 1950s and 1960s.